Claudius, the Emperor of Rome, ordered his army to invade Britain in the year AD43. Four years later, most of England was pacified, and the network of Roman roads was in place, built for military and official use. As the empire expanded northwards and westwards, rapid communication was required behind the front line, and this was secured first by the Fosse Way from Exeter through Leicester and then by Icknield Street up to York. Forts were built along the roads, one at Metchley near Edgbaston and one at Wall, and part of Icknield Street between these two forts can still be seen in Sutton Park. The work of constructing the road was done by a branch of the Roman army, mostly auxiliaries, according to well-established procedures. First the route was surveyed and marked out by parallel ditches within which the ground was to be cleared and the carriageway built. At the same time markers were put showing where there were deposits of suitable material for road-making. Then came the spadework, done by local forced labour under the supervision of the skilled auxiliaries, making the solid foundation and the durable surface. In Sutton Park construction of the road was straightforward. 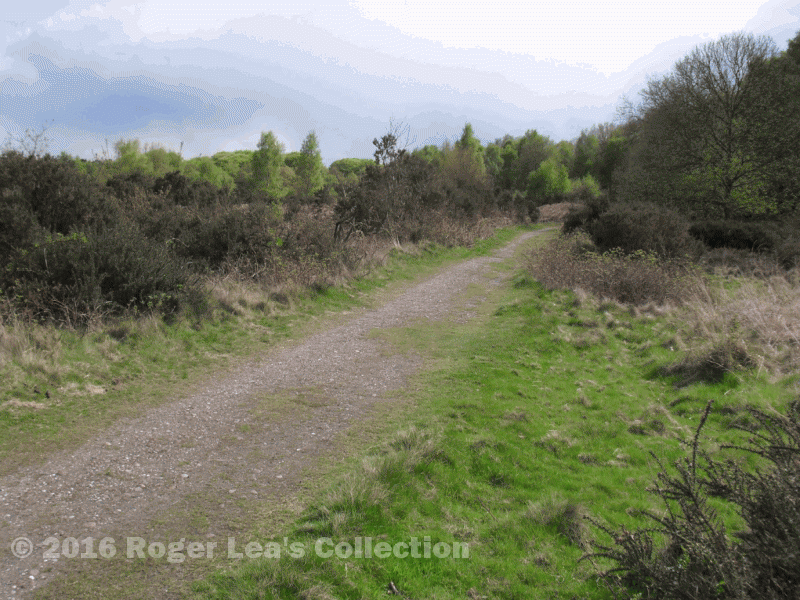 An archaeological investigation has shown that the terrain was then a treeless expanse of heathland, and that the carriageway or “agger” was made of pebbles with a surface of gravel. Cross-sections dug through the agger showed that it was about eight metres wide and half a metre high. There was no need to excavate for the other features, as the parallel ditches and the shallow pits from which the pebbles and gravel were extracted can still be seen on the ground beside the old road. Although it may not look it at first sight, the stretch of Icknield Street through Sutton Park is one of the best-preserved examples of unaltered Roman road in England, not having been damaged by subsequent land use, and it is a Scheduled Ancient Monument. The road surface of Icknield Street in Sutton Park - nearly 2000 years old and no pot-holes.